Furgelnod – Consume the sky pie! This is a calculator created to assist me in filling out the holidays in my Tasmanian Holiday Calendar. If for some reason you don’t want to subscribe to that or if it is outdated, you can use this to create ical files or a textual list for any given year. This should be accurate so long as the referenced legislation has not been changed since it was last updated. Note if your browser isn’t up to date you’ll likely have issues with this. Just that an icon to replace the default shortcut overlay icon in Windows. Lets you see the apps’ icons instead of an overbearing blue arrow. There are multiple utilities to replace the shortcut overlay the one I use is in Winaero tweaker. A script designed to generate a script that installs Chocolatey and all software you have installed with it. A script to give you scroll ball functionality on your trackball. Window Into Time is an attempt to create a relatively easy to configure multi-zone clock for the Windows desktop that is unobtrusive and conveys the time in a clear format. A function to format a time string according to the frankly obsolete RFC733 standard published 1977-11-21. This was necessary as I was generating some OPML which for whatever reason uses this format. An on screen software number pad for those without a physical one to use with rebindable human interface devices. 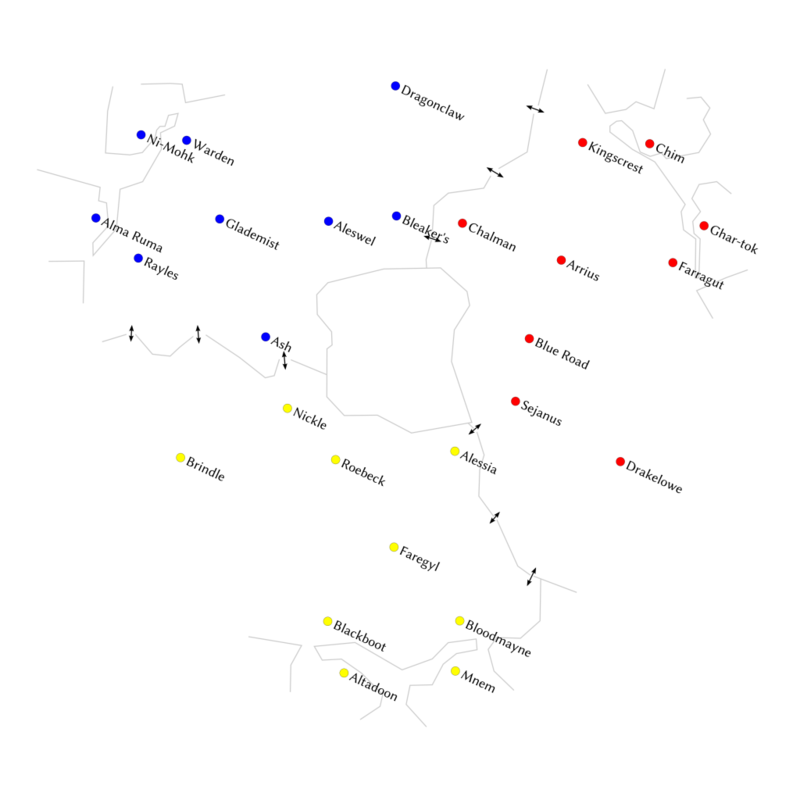 A diagram of all keeps & impassable barriers in ESOs Cyrodiil. A hopefully useful diagram for others who want to locate keeps easily while mashing keys in ESOs PvP.